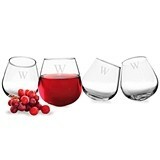 All the rage these days, stemless wine glasses exude a comfortable, welcoming charm while also making a statement that you're comfortable with your guests, with no need to be nervous or to “put on airs” as with traditional stemware. 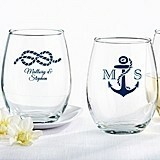 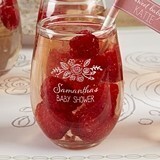 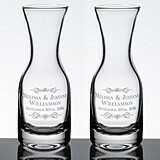 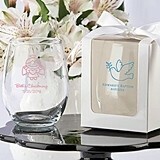 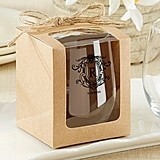 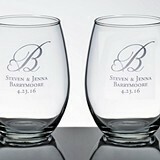 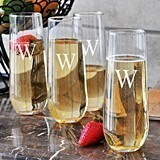 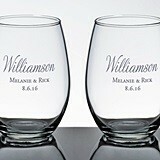 We absolutely love this fabulous stemless glassware that may be personalized to create incredible take-home party gifts or wedding favors. 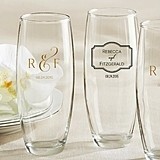 A special day or night to be remembered deserves a touch of class customized just for you. 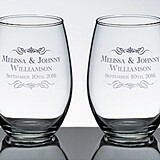 We offer specialized fonts and a wide variety of images to match your particular theme. 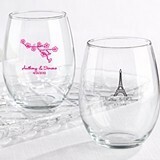 Choose from classy to sassy, from fun to conservatively divine. 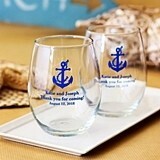 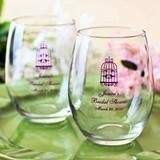 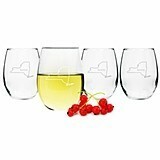 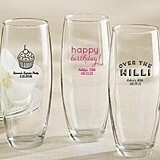 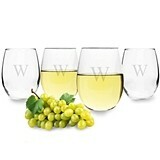 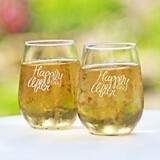 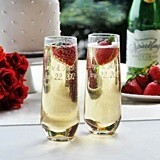 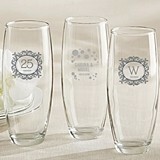 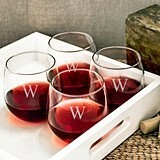 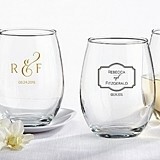 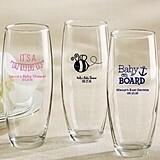 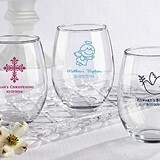 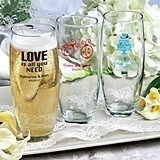 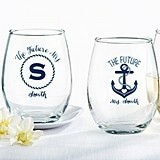 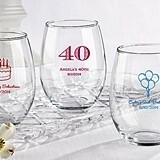 Equally appropriate for wine, beer or soft drinks, our personalized stemless glassware adds additional fun for your guests to enjoy their time with you, as well as to remember a fun time had by all.